There's nothing like getting really excited for an upcoming event that requires you to get all dolled up. Whether it's your wedding, homecoming, prom, or an awards ceremony, your hair is a big piece of your glamorous look. But glamorous hair doesn't just happen. If you're planning on getting your hair done professionally for the big event, you'll definitely want to make sure you're coming to the salon with event-ready hair. Let's find out what it takes to get your hair looking gorgeous for the big day. The last thing you want to do is to show up on your appointment day and not have the slightest clue of what kind of hair style you want her to do. Come prepared with plenty of pictures and have a discussion with your stylist on what will work best for your particular type of hair. If you're hiring a stylist for your wedding day, it's also recommended that you come in about a month in advance before the day so that you can have a trial run. You don't want any surprises on the big day! At least a week before your big event, you'll want to make sure that your hair has been properly hydrated and color treated before that first bobby pin even reaches your head. If you regularly get highlights or color your hair, schedule a fresh cut and color at least a week before your big event. You'll also want to make sure that your hair is free of dead ends and is easy to work with. Word to the wise: You might think that a big event is the perfect opportunity to try something new with your hair, but approach with extreme caution. The last thing you want to do is end up with a disastrous do that you hate right before you'll be heavily photographed. 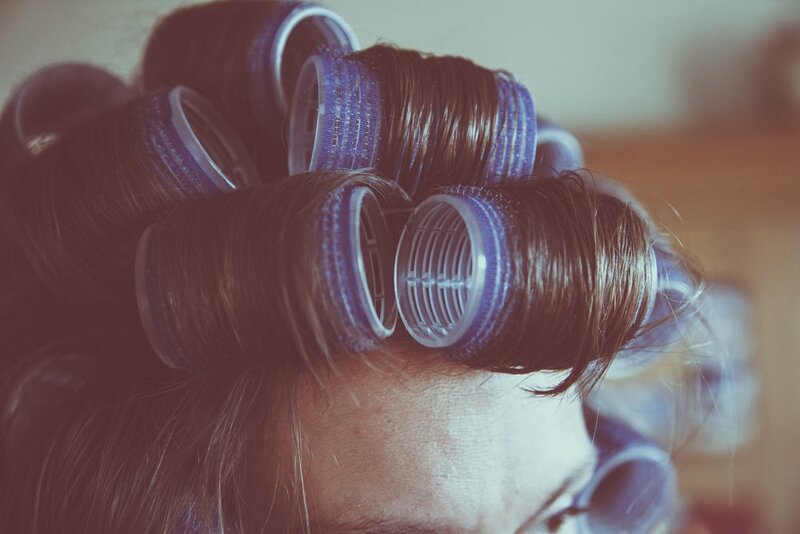 Another thing you'll want to check off your list is to do a deep conditioning or hydrating treatment a few days before the event. This will ensure that your hair is extra soft and shiny. Most stylists would recommend that you come into your appointment with day-old hair. Freshly washed hair might feel cleaner and smell better, but it tends to be slippery and harder to hold an updo. It's typically best that you skip the shampoo and conditioner on the day of your appointment in order to make things a little easier on your stylist.